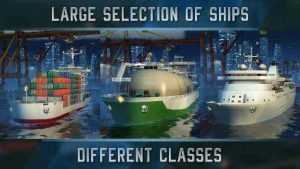 Welcome to the most exciting and realistic ship simulator game – Ship Sim 2019! Sail around the Mediterranean sea as the captain of a 400 meter oil tanker, a gigantic cargo ship or a luxurious cruise ship. Navigate your ship in a realistic and detailed open world map and complete missions in many of the iconic port cities around the Mediterranean. request new ships or features on our Social Pages! This game is so far the best. thank you ovilex, you are imcomparable. my problem is with the map. it doesn’t lead you to your destination but rather destruction. can u please fix that problem.